City's Department of Library and Information Science organised a half-day event with the UK chapter of the International Society for Knowledge Organisation (ISKO UK) on 5th November. The Department of Library and Information Science held a half-day event with the UK chapter of the International Society for Knowledge Organization (ISKO UK) on 5th November. The meeting was focused on ways of organizing information to take advantage of mobile technology and to explore the challenges of organizing and delivering information via smart phones and tablet devices. There were four speakers from industry and academia and two posters contributed by PhD students from City University's Department of Computer Science. Professor of Information Science, Professor David Bawden, welcomed delegates to the meeting and reminded them of City University's pioneering role with the world's first Information Science Department and an ongoing programme of world class research and education. Max Whitby, founder of Touchpress gave an illuminating presentation about the innovative approach to publishing educational and informative material via iPad apps. 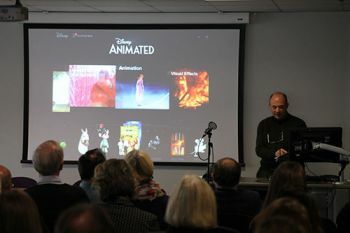 Touchpress is a leading apps publisher with prize-winning applications such as Disney Animated which contains all the animated movies made by Disney. Delegates were also given a foretaste of the new 'Molecules' app which allows users to interact with molecular models and manipulate them in virtual space. 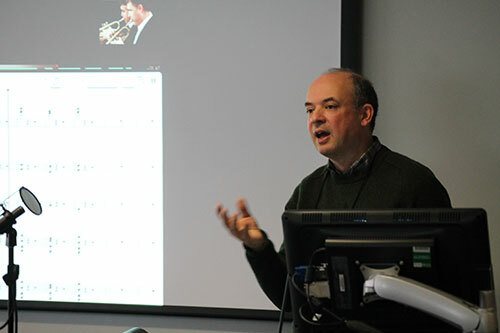 Tom Crane, technical director of Digirati then talked about their work to develop an interface to the Wellcome Collection. A large part of their historical material has been digitized (an on-going programme) and makes a variety of formats available to users. He also highlighted the important work that the Welcome Trust is doing with other collections to develop the International Image Interoperability Framework (iiif). During the mid-afternoon break there was an opportunity for the 75 delegates to network and to view the two excellent posters presented by Zaki Abbas and Jonathan Day. ISKO UK awarded a £50 prize to Jonathan's poster "On Revising a Categorization Scheme for Resilience Strategies Using App-Captured Self-Report Data" and highly commended Zaki's poster on "Information Seeking Behaviours of Law Students Using Mobile Devices". The second part of the afternoon, chaired by Dr Andy MacFarlane, Reader in Information Retrieval, continued with a provocative presentation by Sharon Richardson titled "Bring your own … everything" about the technology, governance and cultural challenges faced by organisations where use of mobile devices is becoming pervasive. This stimulated a lively debate which continued for two further hours during the social reception afterwards. The final paper prepared by Amir Naghsh and presented by Neil Stewart of LSE (formerly at City) demonstrated LSE's initiatives to make its collections accessible with a wide audience. One particular resource, Women's Walks based on the Women's Library is now available as an iPhone app "that enables users to engage with archive materials from women's history as they walk through London's streets". The afternoon was brought to a close by David Haynes with thanks to speakers, poster presenters and delegates for making the event a great success.